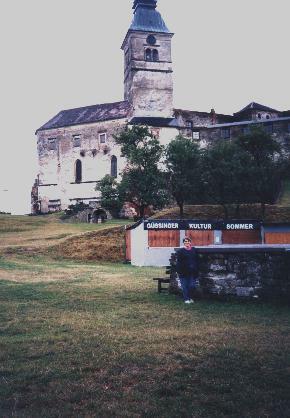 This looked like it was some sort of jail--rather small and built low to the ground. 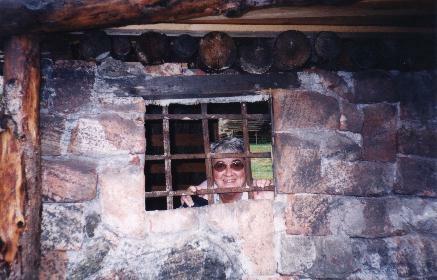 Sherry, standing next to the stone "jail". In this picture you can see how small it is.